The National Chairman of Host Communities of Nigeria, Oil and Gas, HOSTCOM, Bishop Mike Emu says HOSTCOM is neither member of Peoples Democratic Party or All Progressives Congress, even as he averred that the federal government has approved the payment of gas flaring levy, 10 Modular Refineries, pipeline surveillance slots and other forms of empowerment to HOSTCOM through the new Petroleum Industry Governance Bill, PIGB. Bishop Emu who made the disclosure Saturday March 31 in Effurun, Uvwie Local Government Area when the Delta State Chairman of HOSTCOM, Hon. 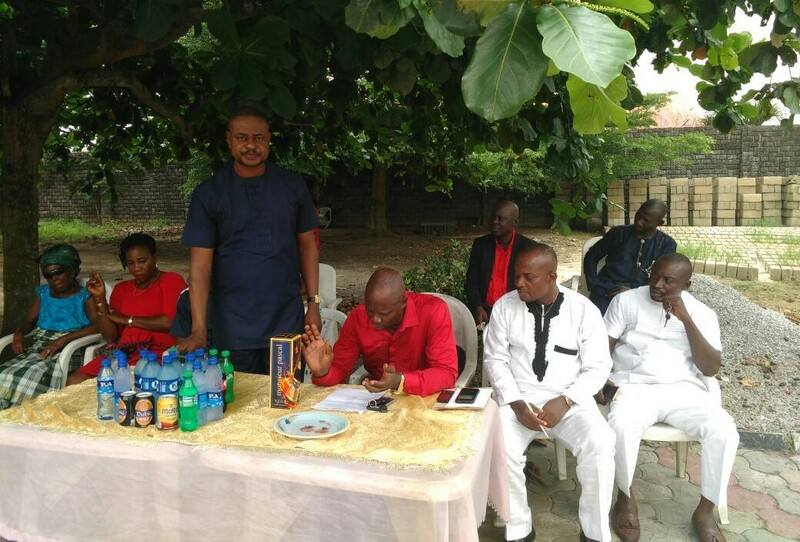 Benjamin Iwetan led the newly sworn-in 19-member executive of HOSTCOM Itsekiri chapter on a formal introductory visit, asserted, “Itsekiri produces more than Ijaw in crude oil quantum”. While noting that the federal government has appointed him to represent HOSTCOM, Bishop Emu revealed that Itsekiris are not in the “empowerment list of those to be sent abroad for training”, and there is need to address the non-inclusion of Itsekiris in the proposed 10 Modular Refineries “through the Olu of Warri Palace”. According to him, there is no reason why the Olu of Warri, Oba of Benin and other traditional rulers in the Niger Delta can't have oil bloc,but Retired General TY Danjuma and former President Ibrahim Babangida have, insisting that it is time traditional rulers in the South -South geopolitical zone give HOSTCOM the backing to fight for the possession of oil blocs and other rights belonging to Niger Deltans. Delta State Chairman of HOSTCOM, Hon. 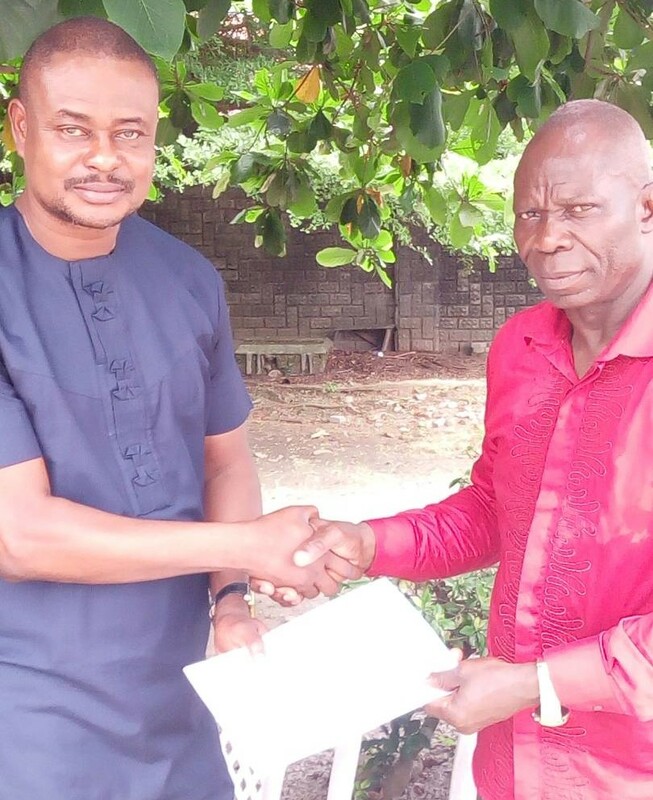 Benjamin Iwetan who formally presented the Tuoyo Woligho 19-member HOSTCOM Itsekiri chapter executive list to Bishop Emu, saluted the courage of the HOSTCOM National Chairman, despite the challenges he encountered. Hon. Iwetan while stating that his leadership has the support of other ethnic stakeholders in the state, apart from the Itsekiris, noted that it was his executive that is aggrieved and as such, should be consulted if absolute peace is to be achieved in HOSTCOM. He decried the attitude of the lady in charge of empowerment due to HOSTCOM in Delta State and assured Bishop Emu of their continued support. Chairman of HOSTCOM Itsekiri Chapter, Mr. Tuoyo Woligho, thanked Bishop Emu for the reception accorded members of his executive and assured that documents belonging to the body that are in the hands of unauthorized persons will be retrieved.